Permanent and/or semi-permanent eyebrows have become increasingly popular over the last couple of years for a number of reasons. Permanent eyebrow make up is a great way to achieve a full, realistic brow that can boost your confidence and save you precious minutes in your daily make up routine. There are two main methods of eyebrow tattooing. The older method is the full fill eyebrow method, and the newer method is called microblading. It’s important you understand the two main methods and their techniques so you can achieve the results you are looking for. Read on for Tropicalaser’s guide to permanent eyebrow methods. Microblading is a technique that uses a row of fine needles to create thin, hair like marks on the skin. 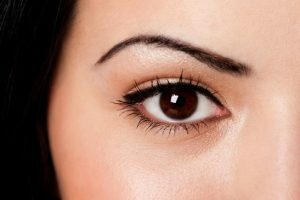 It’s a common misconception that microblading is not a tattoo procedure. By definition, anytime you are putting colour into skin, it is considered to be a tattoo process. Even though microblading is still considered tattooing, it differs from the traditional eyebrow tattoo in a few ways. The main difference between microblading and the older technique of eyebrow tattooing is that, in microblading, the pigment is not placed as deep in the skin – usually about 0.3 mm. While this means your microbladed eyebrows won’t last as long as traditional eyebrow tattoos (they usually last about 1 – 2 years before a retouch is required), they will most definitely look more natural. Full fill – or solid – eyebrow micro pigmentation, is administered using a digital machine. Pigment is implanted slightly deeper into the skin (0.3 – 0.5 mm), which allows its results to last longer than microblading (about 3 – 4 years before a touch up is required). The downside to the full fill technique is that instead of getting fine, hair-like lines, you’re getting a solid fill. This undoubtedly looks less natural. At Tropicalaser we offer a unique combination of the two techniques. We apply a really soft full shading, complemented and enhanced by microbladed eyebrow strokes. This technique achieves a more natural, lush look. At Tropicalaser we are well versed in the microblading and full fill methods of permanent eyebrow make up. We are able to perform all methods in order to give you the best results possible – including the most popular combined microblading and full fill technique. If you are interested in permanent eyebrows, call our expert team to schedule your consultation today!